The University of New Haven Women’s Soccer College ID Camp is a 5-hour soccer training program on November 18 at the Kayo Field in University of New Haven campus. It is inviting all girls in high school wants to enhance their soccer skills and understanding. The program is an excellent opportunity for the participants to experience a real high-level collegiate soccer environment. In addition, this clinic focuses on developing the participant’s technical and tactical capabilities. This event is an initiative of the University of New Haven women’s soccer coaching staff. They will also provide valuable assessment and evaluation for each attendee’s performance. Overall, it will be a motivating and fun experience. University of New Haven is a private, coeducational, non-sectarian university in West Haven, Connecticut. It is one of United States’ top universities. In fact, it is 94th in Regional Universities North, 2018 edition of Best Colleges rankings. It is 55th in the Best Value Schools rankings. And, 290th in the Business Programs rankings. The university is offering around 100 undergraduate and 50 graduate programs. Currently, the university’s total undergraduate and postgraduate student is in the neighborhood of 6,400. This is with an acceptance rate of 81 percent. The student to faculty ratio is 16:1. University of New Haven fields 15 intercollegiate sports teams. They are playing in the Northeast-10 Conference of NCAA Division II. Furthermore, the collegiate athletes’ nickname is Chargers. Blue and gold are their identity colors. The University of New Haven Chargers women’s soccer team head coach is Laura Duncan. She is the former assistant coach of the Fairfield University women’s soccer team. Moreover, Coach Laura Duncan is a former soccer standout herself. She is a former Blue Devil 4-year letterwinner and also a 2-time First Team All-NEC member. 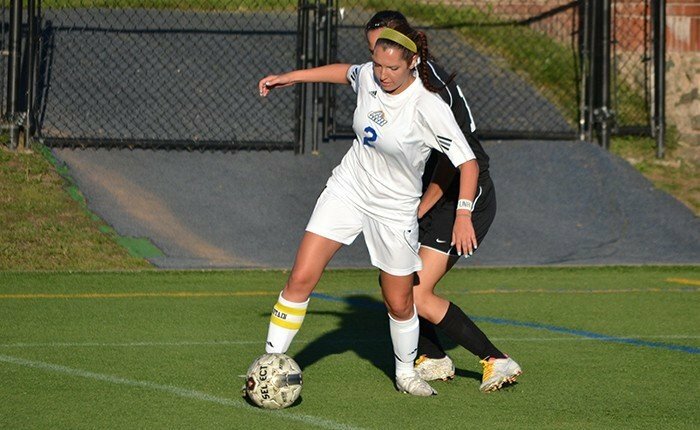 Then, the Chargers women’s soccer graduate assistant coach is Tori Sousa. Jake Pagragan is the goalkeeper coach. Finally, Charlie Branch and Chuck Salvi are the team’s volunteer assistant coaches. The University of New Haven Women's Soccer College ID Camp is a 5-hour soccer program on November 18 at the Kayo Field in University of New Haven campus.